A pastor and his wife are accused of scamming a 77-year-old woman in their church of nearly $20,000 in credit card charges. Cleve Williams said the pastor failed to make good his promise to pay the debts he incurred in credit card charges under her name. 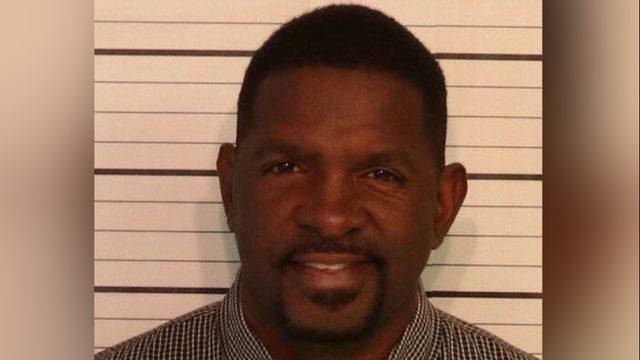 49-year-old Frederick Smith has since been arrested in connection to the allegations of Williams. Williams was shocked, however, when shortly after, she discovered that Smith stole her identity and opened credit cards in her name. The elderly woman further alleged that Smith incurred nearly $20,000 in credit card debts under her name. She said that when she confronted the pastor about the matter, he calmed her by promising to pay off the debt the following month. He never delivered on such a commitment. Williams was forced to file a police report in May 2015 and named Smith as a suspect. She was supposed to file formal charges against Smith but thought about it when he made the promise to pay the credit card charges. He did not honor his word, however, and the charges remained unpaid, under Williams’ name and accountability. Smith did not only turn his back on his promise, but he also turned the tables on Williams. The pastor denied the allegations, claiming that the money he spent went to church expenses and that those were approved by Williams. Smith also claims that he never stole personal information of Williams to open any credit card, that it was Williams who opened the account and gave him the card to spend on church expenses. Despite his denial, Smith is being charged with identity theft, theft of property between $10,000 and $60,000, and forgery between $10,000 and $60,000. Police have issued a warrant for the arrest of Smith’s wife on the same charges, but she has not been arrested by the authorities yet. His denial will be super easy to disprove via the signatures on the credit apps. What a dirtbag!!!!!!! IF THEY ARE STEALING MONEY FROM LITTLE OLD LADIES, THE AUTHORITIES BETTER ALSO INVESTIGATE, IF THEY ARE MOLESTING CHLDREN AS WELL!! THIEVES AND LIARS IN CHURCHES THESE DAYS, ARE ALSO HOT BEDS FOR CHILD TRAFFICKERS!! !